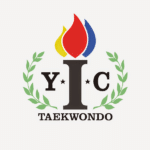 My school is YIC Taekwondo, which stands for my father, Grandmaster Young In Cheon. He opened the school 1991 in Diamond Bar, California (Los Angeles metropolitan area), and we have been teaching here for over 20 years. Our membership generally fluctuates around 250 students but we’re aiming to surpass 300 students. We focus on traditional taekwondo and Olympic-style sparring, teaching students from 3 years old through adults. I took over managing the school about six years ago. My father trained in taekwondo as a child in Korea and became a well known competitive fighter. He was on taekwondo teams in high school and college, eventually coaching the ROK (Korean national military organization). He moved to the U.S. and got married, eventually moving to Diamond Bar. With his limited English he began working as a painter, but ultimately decided to follow his passion and open his own school to teach martial arts. How did you get involved in the business? This is a family business, and both my father and brother are instructors. As the oldest daughter of a traditional Korean family I am responsible for taking of the family, whether it be my siblings or perhaps even the family finances. My father is an extremely nice guy, but probably not the strongest businessman. He knows and loves the sport and has taught at some of the highest levels, including coaching the US National Team in the 2000 Olympics. But when it comes to business, he’s just too nice. I was brought in to help with the business part-time after graduating college, but quickly fell in love with managing the school and became the full-time office manager. My degree in Communications helped me with a lot of the major aspects of running the business, and I focused on modernizing the business. We did a lot of work with paper (flyers, attendance cards) and I helped bring technology into the business by implementing school management software and using social media like Facebook. I’m really proud of our program and what we’re teaching. I’ve had pushy sales jobs in the past, and with taekwondo I don’t have to do any of that. The benefits of taekwondo sell themselves. The parents love what we teach, they love what we’re about. Their children become more respectful and happy, they start bringing home good grades. I love being able to come into work and meet families and work with kids in a fun family environment. And I love coming up with creative ways to generate new prospects. What does being a martial arts business owner mean to you? Generally the average student lifespan is about 18 months. I like seeing the transformation of students during that time. I like seeing them go from being shy to being a leader. I like seeing children develop respect for their instructors, peers and their family. Knowing that taekwondo is a foundation for their character in the developmental stages of their life is a big deal, and I’m proud to be a part of that. When I was young, I didn’t understand that. I merely saw it as exercise. Only after working at the school did I start to realize the importance of our school and the effect each student transformation has on our community. For me, being part of a family business is a challenge. I think managing your own business of any kind is a challenge. There’s no guaranteed paycheck. For us, getting new students in the door and retaining them is difficult. Kids get bored quickly and it isn’t always easy to motivate them to aim for that black belt. From on operations standpoint, there’s just not enough time in the day to get everything done. In addition to the marketing and advertising activities (booking demonstrations, working with school systems, planning in-house events, creating new student packages, etc. ), I still have to do all the day-to-day management of existing students. I met a representative from Kicksite at an event and instantly felt like he was a very friendly, genuine person. And I could tell that he truly believes in his product. It made me more inclined to learn more about the software. What do you love about Kicksite? I encourage all my staff to add comments on student user profile pages to get more out of the program and it helps me monitor the school whether I’m in New York, Korea or even at home. It’s good for the students because they love checking in and seeing the awards they’ve received, and the parents love being able to log in as well to see how their children are doing. Since you focus specifically on managing the school and not teaching, how has Kicksite saved you time or positively impacted your management workload? Kicksite has allowed me to prioritize and simplify much of my work, such as eliminating the hassle of attendance cards which easily took up an hour of my day before. The attendance report quickly tells me who hasn’t been attending class which is great. Sending out targeted emails by age, program or belt color in just a few clicks saves us time and allows us to keep in touch with our students better. And the automated communication tools give our school a more professional appearance to our students and their families, and it’s so easy for us to do that. The business hasn’t been growing recently, mostly due to my other duties coordinating tournaments and state championship events. It has kept me from being able to focus on growing the business. But my immediate focus is back on the school and I expect us to grow this year. Actually, we are planning to expand to a second location this year and Kicksite is a big reason for that. I’d like to open more schools or provide career opportunities for our black belts if they want to open their own schools. I read a lot of business books that say you shouldn’t have to be a slave to your job, and helping others achieve career independence while gaining my own financial freedom is definite long-term goal. We are in constant competition with other seasonal sports like soccer and football, which sometimes cause our attendance to decline. We’re surrounded by other martial arts studios as well, so it keeps us on our toes. But we’ve been here for over 20 years and have earned a reputation for excellent service and teaching, so competitively we are doing ok.
Service is one of our top priorities. How do you feel about the quality of training, support and customer service provided by Kicksite staff members? I’m 100% pleased. Kicksite’s representative has been wonderful and the other members of the staff that have helped us with the initial training and walkthrough. I know that there are video tutorials available, but I didn’t need them because the system was so easy to learn. I think it is a really great program for any school owner. I know that many older school owners are technology averse, but if they only realized that Kicksite can make their lives so much easier. I think a lot of owners may also be scared to try something new, or they also don’t want to spend the money. But I always advocate Kicksite and try to persuade them by pointing out what they are getting in return for the price. I encourage them to visit the website and take a demo or try the trial period to get a taste of it, as it has definitely saved me a lot of time. Thanks to Kicksite, our customer service and communications have become more professional, we have a lot more time on our hands to focus on important work, we are more aware of how much money we are making thanks to reports. Overall, we are very happy with Kicksite and I look forward to seeing how the software will help us grow as we move towards a second location. For more information on Young In Cheon Taekwondo, please visit their website or Facebook page, email or call 1-909-468-1350.